Find better rhymes, and use them more effectively. Rhyme is one of the most crucial areas of lyric writing, and this guide will provide you with all the technical information necessary to develop your skills completely. Make rhyme work for you, and your lyric writing will greatly improve. If you have written lyrics before, even at a professional level, you can still gain greater control and understanding of your craft with the exercises and worksheets included in this book. Hone your writing technique and skill with this practical and fun approach to the art of lyric writing. Start writing better than ever before! Learn the fundamental techniques behind today's hit songs, with easy-to-follow exercises so you can immediately apply these tools to your own songs. Quit wrestling with writer's block, and learn to make the songwriting process easy, fun, and intuitive. Kachulis covers a variety of topics, including: colors of chords and keys • chord embellishments and progressions to enrich your palette of colors • dozens of ways to modify your harmonies and progressions • the most common chord progressions used in hit songs • and more. Practice your songs with an accompaniment using the online audio! Online audio is accessed using the unique code printed inside the cover, available for download or streaming. Your first song is the hardest one you will ever write. This book is designed to help you accomplish that goal. We're not going to jot down just any song, but one that you are proud of, one that gives you the confidence and the process required to write your second song, your third song, and on and on. Here you will find the basic musical knowledge you need and a process for putting that knowledge to work. Let's get started. Let's make you into a songwriter! Includes access to audio examples online for download or streaming. Melody is a subject too often neglected in the teaching of music. This unique resource gives melody that attention it deserves, and proves that melody writing is a skill that can be learned. Through proven tool and techniques, you will learn to write interesting melodies, how melodic rhythm influences rhyme, what makes harmony progress, and the many dynamic relationships between melody and harmony. This clear and comprehensive approach to songwriting unlocks the secrets of popular songs, revealing what really makes them work. Examples of great songs by such notable songwriters as Lennon and McCartney, Diane Warren, Robert Palmer, and more, provide a close-up illustration of the songwriting techniques employed by these masters of the industry. This is the book used in Songwriting classes at Berklee College of Music. The exercises provided make it a wonderful self-teaching manual and a great addition to any general theory course of any level. Use the tools presented in this book to help fine-tune your craft and start writing hits! This book helps both keyboard and guitar players to find and develop interesting chords and chord sequences on a keyboard, and then use them to write their own songs. Rather than trying to teach intricate pieces of music, the book breaks things down into a simpler style and concentrates on basic chords and ideas, starting with a simple three-chord song and gradually adding more complex structures. A visual system that virtually eliminates the use of standard music notation allows guitarists who are used to using guitar tablature to feel totally at home. Songwriting issues are also analyzed, including key changes and writing songs in minor keys. The straightforward style of this book will have musicians writing on a keyboard with ease – even if they never have before. All 90 examples are recorded and accessed online for download or streaming. Art Song: Linking Poetry and Music is a follow-up to author Carol Kimball's bestselling Song: A Guide to Art Song Style and Literature. Rather than a general survey of art song literature, the new book clearly and insightfully defines the fundamental characteristics of art song, and the integral relationship between lyric poetry and its musical settings. Topics covered include poetry basics for singers, exercises for singers in working with poetry, insights into composers' musical settings of poetry, building recital programs, performance suggestions, and recommended literature for college and university classical voice majors. The three appendices address further aspects of poetry, guidelines for creating a recital program, and representative classical voice recitals of various descriptions. 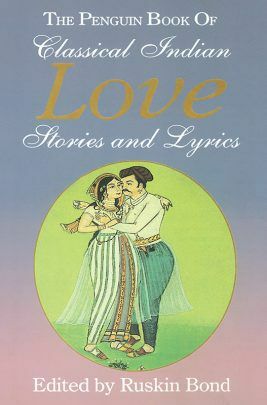 A compilation of love stories and poems from the classical literature and folklore of India Set in regions of great natural beauty where Kamadeva, the god of love, picks his victims with consummate ease, these stories and lyrics celebrate the myriad aspects of love. In addition to relatively well-known works like Kalidasa's Meghadutam and Prince Ilango Adigal's Shilappadikaram, the collection features lesser-known writers of ancient India like Damodaragupta (eighth century AD), whose 'Loves of Haralata and Dundarasena' is about a high-born man's doomed affair with a courtesan; Janna (twelfth century), whose Tale of the Glory-Bearer is extracted here for the story of a queen who betrays her handsome husband for a mahout, reputed to be the ugliest man in the kingdom; and the Sanskrit poets Amaru and Mayaru (seventh century), whose lyrics display an astonishing perspective on the tenderness, the fierce passion and the playful savagery of physical love. Also featured are charming stories of Hindu gods and goddesses in love, and nineteenth-century retellings of folk tales from different regions of the country like Kashmir, Punjab, Maharashtra and Rajasthan. Both passionate and sensuous in its content, this book is sure to appeal to the romantic in all of us. 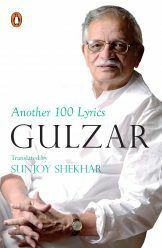 "A delightful new collection from the master lyricist After the great success of 100 Lyrics, this new volume contains a hundred more of Gulzar’s marvellous compositions, complete with anecdotes and photographs making it a true collector’s item. 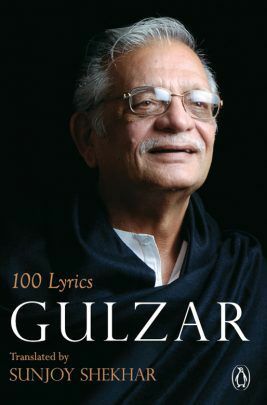 Gulzar has brought a rare poetic sensibility to popular Hindi film music over a five-decade-long career, and this collection showcases some of his best work, from early lyrics like ‘Ganga aaye kahan se’ (Kabuliwala) and ‘Koi hota jisko apna’ (Mere Apne) to classics such as ‘Tere bina jiya jaye na’ (Ghar), ‘Do naina aur ek kahani’ (Masoom) and ‘Roz roz ankhon taley’ (Jeeva) and later blockbusters like ‘Goli maar bheje mein’ (Satya), ‘Beedi jalai le’ (Omkara), ‘Dhan te nan’ (Kaminey), ‘Dil toh bachcha hai ji’ (Ishqiya), ‘Challa’ (Jab Tak Hai Jaan) and ‘Bismil’ (Haider). In addition, Another 100 Lyrics contains some brilliant poems from non-film albums like Dil Padosi Hai, Marasim, Ishqa Ishqa and Koi Baat Chale. " From 'Mora gora ang lai le', his first film lyric written for Bimal Roy's Bandini in 1963, to the Oscar-winning 'Jai ho' from Slumdog Millionaire, Gulzar has brought a rare poetic sensibility to popular Hindi film music over a five-decade-long career. His sophisticated insights into psychological complexities, his ability to capture the essence of nature's sounds and spoken dialects in written words, and above all his inimitable-and often surprising-imagery have entertained his legions of fans over successive generations. It represents Gulzar's most memorable compositions of all time, and feature anecdotes about the composition of the lyrics as well as sketches by Gulzar. For songwriters, composers and performers, this trail-blazing blueprint to crafting and understanding quality lyrics will prove a bottomless source of advice. Written by a nationally acclaimed songwriter, The Art of Writing Great Lyrics covers everything from communicating through song, defining styles, and collaborating with a partner to studying the market, making a great demo, and getting started on a songwriting career. Full of creative exercises, writing do's and don's, and a handy A to Z checklist for reviewing new songs, this insightful and highly motivating guide helps songwriters in all stages of their career to be at their creative best and make the right decisions. The specialized field of songwriting has specific requirements that must be followed for success. How Do I Sell My Songs, an excerpt from the Beginning Writer's Answer Book, answers questions such as: How can I learn to write songs?, Is it easy to break in to that area of songwriting?, and If I write poetry, will I be able to write song lyrics? Download How Do I Sell My Songs? now and learn how to make money in songwriting. Carol Kimball's comprehensive survey of art song literature has been the principal one-volume American source on the topic. Now back in print after an absence of several years, this newly revised edition includes biographies and discussions of the work of 150 composers of various nationalities, as well as articles on styles of various schools of composition. Veteran songwriter Pat Pattison has taught many of Berklee College of Music's best and brightest students how to write truly great lyrics. Her helpful guide contains essential information on lyric structures, timing and placement, and exercises to help everyone from beginners to seasoned songwriters say things more effectively and gain a better understanding of their craft. Features examples of famous songs for study, including: Be Still My Beating Heart • Can't Fight This Feeling • It Was a Very Good Year • Tickle Me • and more.